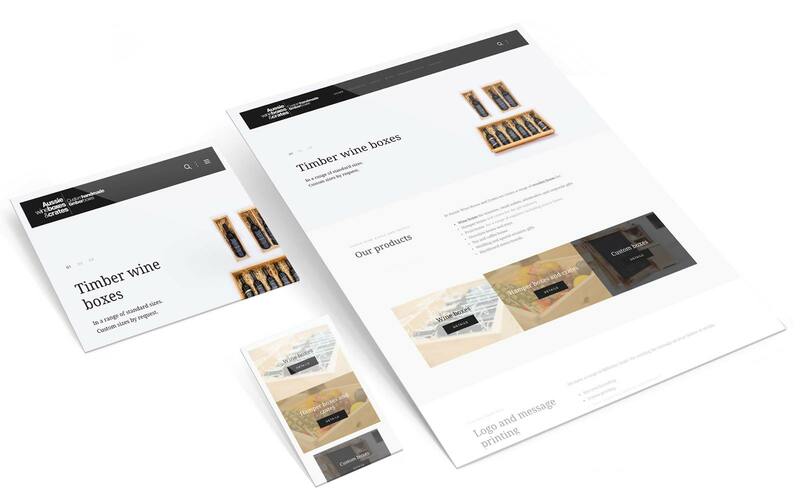 Aussie Wine Boxes and Crates is a contemporary website that presents a professional face to winemakers and other artisanal creators. Aussie Wine Boxes and Crates was recently taken over by Rodney and Maree who wanted a very modern look that represents the clientele they're wanting to work with. The site needed to show the products with beautiful imagery and use text that would rank well in search.